And while there are times I've gone back to old reviews and winced, this was never one of them, mostly because I'd like to think my opinion on Mariah Carey isn't that controversial! She was great in the 90s, four or five excellent albums, and then it went awry in the 2000s. You can argue where and when things went wrong, but even fans had to realize that by the end of the decade, it was not looking or sounding nearly as good as it once did. So she did the smart thing and took some time off to recharge for her 2014 album... and look, it was not a bad project, but through the combination of poor guest star choices, haphazard writing, and production that rarely lived up to her promise, it was a comeback that felt abortive, and while '#Beautiful' remains a great song, you can make the argument nobody is going back to that album in the same way they do her 90s or even 2000s work. And when you couple it with that New Year's Eve performance a few years back... look, you can't tarnish Mariah's legacy, but beyond the diehard fanbase, I don't know who was asking for another album. But hey, we've got another one - and I'll admit I was really curious. It didn't seem too long, the production credits were all over the place but potentially promising, and while I was dreading the Gunna collaboration deep in the track list, the critical reviews haven't looked this good since the 90s. In other words, I was looking for any excuse to like a new Mariah Carey album, and I'd certainly prefer it if Ariana Grande got some competition, so what did we get with Caution? Okay, here's the frustrating thing: I'll state right out of the gate that this is probably the most I've enjoyed a Mariah Carey album since the 90s - hell, since before Glitter. It's an album that tries to play to restraint and while I'd hesitate to call it a 'mature' R&B release, it's playing to Mariah's subtler strengths in a way that we haven't seen in some time. But at the same time, I don't want to oversell the hype here, because for as good as this is, I wouldn't call it great either - it's not on the level of her 90s output, and I can't be the only one who thinks this album is a bit of a safe bet in a few places where I was hoping Mariah would go for broke. I'd also add that it doesn't have the obvious standout like '#Beautiful', but I will say this is probably a more cohesive and better project than her 2014 album, albeit a more downtempo and restrained one. And in a funny way, it actually makes talking about this album a fair bit easier, as outside of a few extended breakdowns on 'Giving Me Life' off of Blood Orange's guitar touches and '8th Grade' off Timbaland's adlibs, this album sticks to a pretty straightforward production formula. A pretty sparse, often desaturated keyboard line, trap percussion but not usually overmixed or oily, and giving Mariah the space her delicate cooing upper register and multi-tracked vocals require - perhaps not quite as plush and soft as I'd prefer for her tone, but more often than not it's a formula that works! 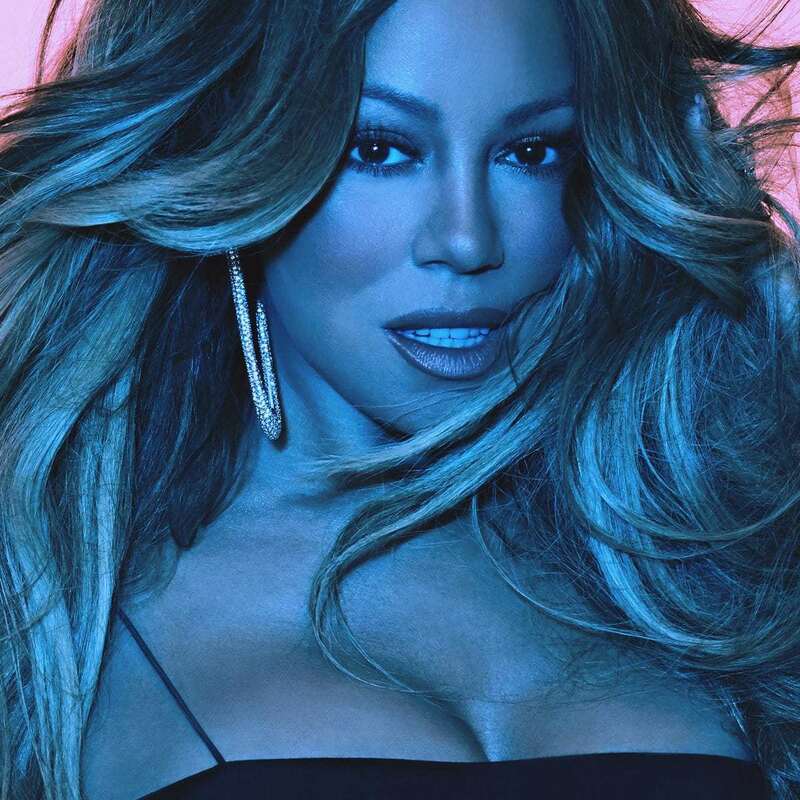 It comes through best on the piano ballads, from the heartbreaking 'Portrait' that closes off the album to even the DJ Mustard-produced 'With You', which is another strong track because it's got a clarity and space that Mariah can make full use of without losing a foundation. And to her credit, Mariah Carey isn't trying to sell the huge power ballads this time around either - delicate control and restraint is the name of the game, and while you often get a few whistle note moments, they're often reserved for the outros. And it's that poise as a performer that's arguably the biggest selling point of this album - even if you can tell that Mariah's voice has suffered a bit of wear over the years, she's smart enough to play within her comfort zone, and she's got a loose enough comfort with a trap cadence to glide over these beats effortlessly, especially when she's having more fun like with 'One Mo' Gen' and the coy flirtation of the title track. Granted, the problem when Mariah is on her A-game is that you wind up seeing where everyone else slips up, and sadly there are missteps both in production and guest stars. Let's get this out of the way, 'Stay Long Love You' is easily the worst track on the album, mostly because with its cheap grainy blips and thin percussion it sounds more like a mediocre Gunna instrumental than anything Mariah should be touching, even as she proves surprisingly game for it. But then there's 'Giving Me Life' with Slick Rick and while his verse works for the faded love story of the song, he doesn't quite add enough to elevate the song - same with the Biggie sample on 'A No No', which feels clunky in how it's inserted into the track. Then there's 'The Distance' with Ty Dolla $ign... and honestly, I'm of two minds on this. On the one hand, I've heard Ty Dolla $ign give much more soulful and powerful vocals in 2018 and I'm not sure he quite stepped up to match Mariah's magnetism... but on the other hand, outside of that unnecessary cheerleading chant, Skrillex's production is such a great fit for Mariah's cadence and timbre that I'm just about convinced they should do an EP together, it clicked remarkably well! Shame not all the production quite worked as well - even with the 'No Scrubs' interpolation I didn't quite love the spikier synth on 'A No No', and until the guitars kicked in I wasn't wild about the flat blaring tones on 'Giving Me Love' either. And now we have content... and look, I've always found myself a bit at a loss when it comes to talking about Mariah Carey's lyrics - they always feel underwritten or filled with odd details that don't quite add up to the nuance I'm hoping, especially given how much Mariah has written herself. And I'm still not quite sold on her petty side like on 'GTFO' - not a bad song, but you'd think for as delicate and cooing as Mariah sells it, the harder language just feels odd coming from her, you'd expect something a bit more poetic, especially given how Mariah is referencing expensive wine by label in the song itself. Similar case for 'A No No', a kissoff to her ex-manager that starts to become more about brand name flexing than actually detailing his transgressions - and yes, I get that she doesn't want to give him attention, but maybe then don't write the song? Really, where I found Mariah more effective is in the straightforward love songs like 'The Distance' or 'With You' or the playful hookup of 'One Mo' Gen' or the title track - a little less effective is '8th Grade', where she tries to assess how ready a guy is to be serious with her but not intrude on her space, which I think I would have liked better if it wasn't titled '8th Grade', implying a much younger context than I think was necessary! But thankfully the album ends strong with 'Portrait', a revealing but powerful song where Mariah reflects on life in the spotlight, pain she's endured throughout the decades, and her inability to truly showcase or process it with the image she's maintained for so long. On the one hand... well, it's hard to ignore the points where Mariah might share some culpability with missteps in recent years, but on the other hand, the song is genuinely great enough to make me sympathize, and that's a big credit to her. So as a whole... look, for as much as anyone was looking for a Mariah Carey album in late 2018, this is a really good project, easily her best in over fifteen years and showing that there's space in modern R&B for her that shows her comfort with mainstream tones while still showcasing her strengths. It's not great, but it is worth a listen if you're curious, so I'm giving it a solid 7/10 and a recommendation. And if this is the start of a true second wind... hell, I'm onboard, let's see what happens.